Apple is said to be planning big changes in its Photos applications for both iOS 10 and OS X 10.12, more closely aligning the capabilities of the iPhone and Mac apps, and also restoring some absent functionality that was previously found in iPhoto. Citing a reliable source with knowledge of the software's development, Macotakara reported on Thursday that that Apple is working to make the new versions of Photos "at the same level" as the now-defunct iPhoto apps for iOS and OS X. 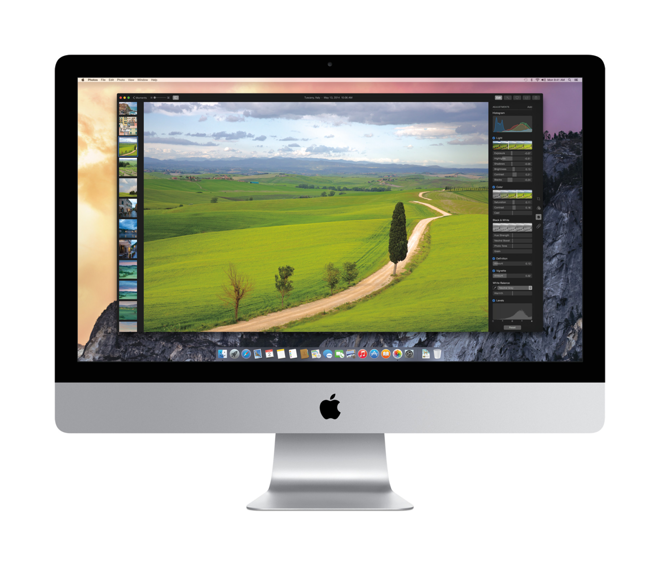 Both iPhoto and its professional-grade counterpart Aperture were pulled from the Mac App Store last April. Last year's transition from iPhoto to Photos meant some key editing features were axed. They included brush correction, adjusting the brightness of a selected portion of an image, the ability to flag pictures, and EXIF data editing capabilities. Photos for Mac is also incapable of making batch changes to the names of photo files, which the now-defunct iPhoto could accomplish. Users also cannot change the order of photos displayed between ascending and descending. Thursday's report didn't provide any specifics about exactly what iPhoto features might return to the Photos apps for Mac and iOS devices. However, it did say that Photos for Mac "will be improved to the level of iPhoto 9.6.1." However, Apple apparently has no plans to appease former Aperture users, as the report indicated that higher-end functionality from that application is not in the works for Photos for Mac. Aperture and iPhoto remain functional for users who already had them installed, but new users cannot access the applications. iPhoto was first released in 2002 as part of Apple's iLife suite, while Aperture launched in 2005. Apple is expected to reveal both iOS 10 and OS X 10.12 at this year's Worldwide Developers Conference in June. New iOS releases typically arrive in September, while OS X updates usually arrive shortly after.